We are pleased that the Seattle Dept. of Planning and Development has responded to our Petition by setting up a city-wide meeting on Jan. 14th, 2014 to discuss potential changes to the land-use code for lowrise neighborhoods. However, the Land Use Code for Lowrise neighborhoods has not yet been changed, and there is no moratorium on permits and construction. Thus, with every month, more 5+ story buildings are permitted and built in our lowrise neighborhoods, forever altering the character and livability of our city. This 5 story + building is located at 1305 Mercer AVe. East, in a Lowrise 3 neighborhood. See below for a picture of the house that used to occupy this site. This new building is under construction at 1305 East Mercer, in a lowrise 3 neighborhood where heights were capped at 30 feet + roof before 2010. Thanks to the clever use of loopholes, this developer was able to cram in even more than 5 stories (in the picture you can see the edge of a clerestory projection above the 5th floor). The result will be massive shadows that put neighbors in the dark for much of the year. 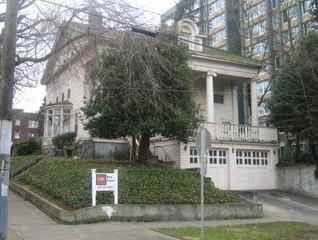 Additionally, the 1904 single family home that was at this site before (see picture below) had a much smaller footprint, was surrounded by green space, and had a large tree, all of which were benefits to the community that are now gone. The 1904 house that occupied this site at 1305 Mercer. Is the city incentivizing the destruction of green space, trees, and older houses? Note that all of this happened with no Design Review and no review under the State Environmental Protection Act (SEPA), both of which are normally required for buildings of this size – but were circumvented here thanks to the city’s new pro-developer Land Use policies. Our neighborhoods need to come together to prevent the proliferation of buildings like this in our lowrise 3 neighborhoods. – Attend the January 14th meeting. – Sign The Petition to Save Our Neighborhoods and get onto our mailing list. 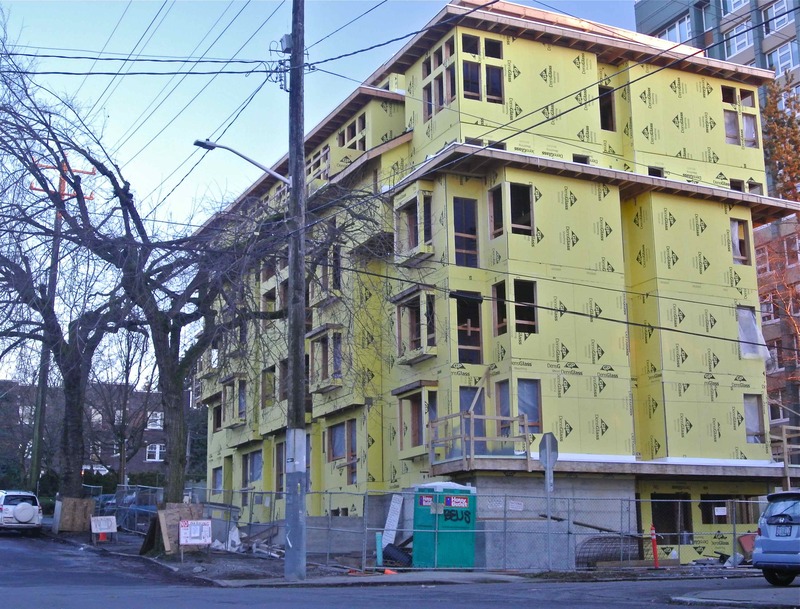 – Write to the DPD and to Seattle City Councilmembers asking them to push for new rules and limits on developers in lowrise 3 neighborhoods. We will be sending email updates to our signers in the future explaining who to write to and what the key issues are. Stay tuned!